The Department of Information and Communications Technology (DICT) has accused third telco aspirant, Now Telecom, of delaying the selection process for the new major player in the local telecommunications industry when it filed a case against the National Telecommunications Commission (NTC). “The terms and conditions set in the terms of reference or memorandum circular for a new major player are in the interest of the Filipino people who desire better telecom services in the country. 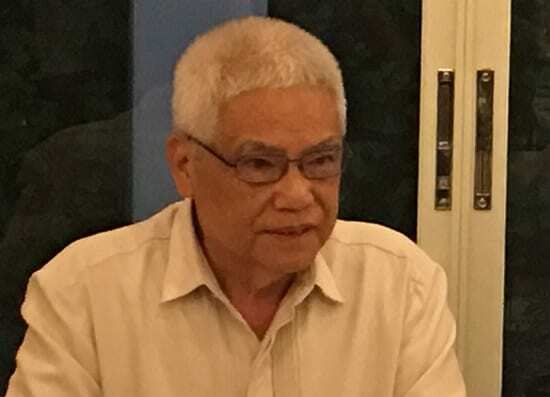 DICT takes exception to Now Telecom’s allegations that this initiative is a money-making scheme,” DICT acting secretary Eliseo Rio Jr. said in a statement Tuesday, October 9. Now Telecom alleged that the provisions in the Terms of Reference were not taken up during a series of public consultations, particularly the P700-million participation security, the P14 to P24-billion performance security, and a P10-million non-refundable appeal fee are barriers to entry and are “money-making schemes” imposed against the third telco. Rio said the third telco must not only be technically capable but should also have the “financial muscle” to compete with current telecom giants, Globe and Smart. • The participation security aims to ensure participation of serious contenders, who have the required financial capability to be a third player that can compete with the existing duopoly. The participant is given certain options on what form they wish to put up the security such as cash, bank drafts or letters of credit. • Performance security seeks to assure the government that the third telco will deliver its commitments for the 5-year commitment period. Requirements for cash deposits have been removed and the participant has been given options as to the forms provided in the TOR. • The appeal or protest fee is a usual item in the procurement processes, which will discourage frivolous motions and protests. Rio noted that the securities and fees required are consistent with the bidding and procurement processes and are even lower than those set by Republic Act 9184 or the Government Procurement Reform Act. “The TOR was the result of public consultations and hearings, review by the Oversight Committee and lengthy and comprehensive studies with international consultants. The public and stakeholders also had the opportunity to submit their position papers on the matter,” he said. Rio said the participation fee of P1 million paid by Now Telecom might have cost a significant impact on its mother company, Now Corporation, whose operating income only stood at P6.3 million in 2017. The NTC said it has received the complaint of Now Telecom and will refer the matter to the Office of the Solicitor General. Now Telecom filed the case before the Manila Regional Trial Court on Oct. 8, the same day they bought the bidding documents. The firm said it would prefer that President Rodrigo R. Duterte receives all the bidding documents on Nov. 7, also the date for the opening of bids, and for him to decide on the third telco player. The memorandum circular on the selection process was released last Sept. 21 and became effective on October 6. The issuance of bidding documents started last Oct. 8 and prospective bidders may submit these until Nov. 7.